In 1969 five young Brookings High School boys formed the rock and roll cover band called COCOON. Each had been in earlier “garage bands”, such as The Abstracts since 7th grade before forming COCOON. 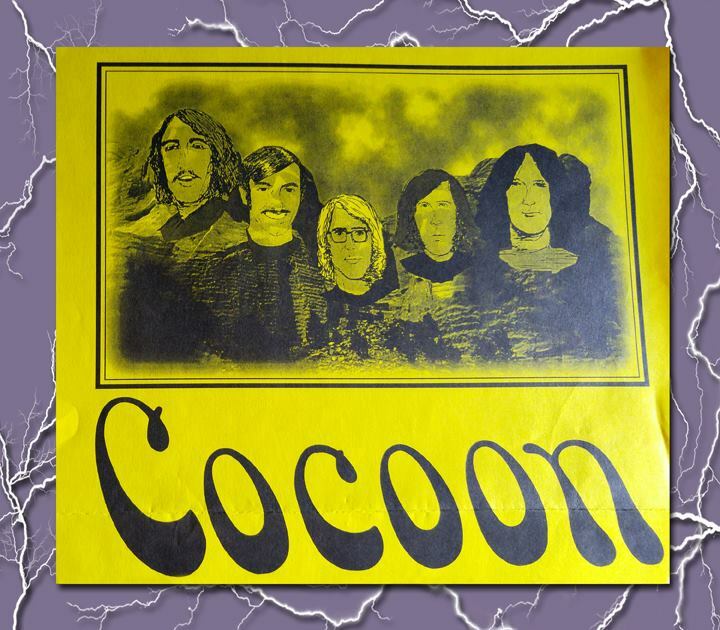 The original COCOON members are Eric Wilson Adams ( lead singer), Lyle Behrend (drummer), Wayne Myers (keyboard), Mike Barnes (guitar), and Tom Barnes (bass guitar). COCOON played in many South Dakota city armories, bars, and countless high school proms and sock hops. They traveled the State in their “puke-green” converted school bus making many new friends along the way. Cocoon has often been joined by the talents of Jim Juntunen, Josh Juntunen, and Curt Henry--all three are members of the Brookings band The Highway Call Band. HORATIO’S, a Brookings college-friendly beer establishment often featured COCOON as an on-going ‘house band’. Eventually agent Jimmy Thomas, owner of the Showboat Ballroom at Lake Benton, became Cocoon’s primary agent. COCOON came back to Brookings and Fargo in 2001 and 2002. They were the headliner band at the Brookings Arts Festival in 2002 and 2017. Cocoon will further their “BUTTERFLY TOUR” as they are inducted intothe South Dakota Rock and Roll Music Association Hall of Fame in Sioux Falls. Joining them are the famous COCOON GIRLS … Melissa Adaams-Goihl and Lisa Modry of Rochester, MN. Their play list includes covers from the Rolling Stones, James Gang, Temptations, Jethro Tull, Beatles, Crow, Cream, Animals, and Three Dog Night.